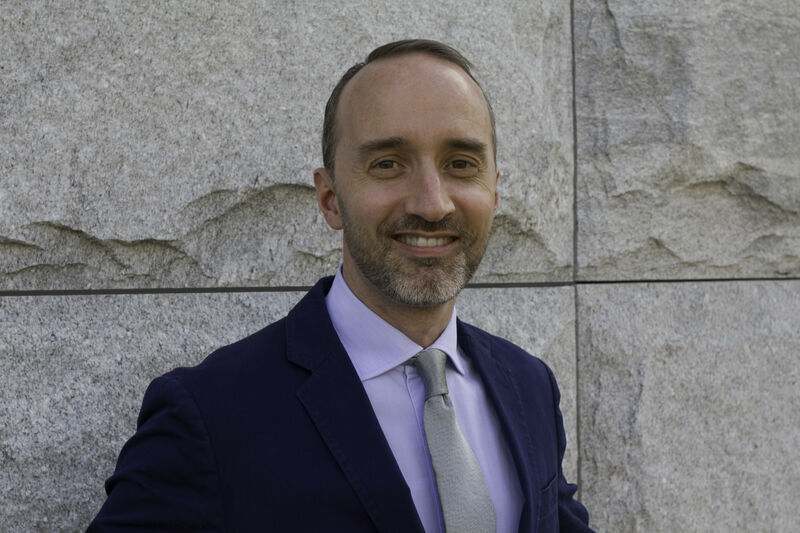 This morning at New York City’s Le Bernadin, Menil Collection Director Josef Helfenstein unveiled the design for the planned Menil Drawing Institute (MDI), the first addition to the Menil’s campus since the Cy Twombly Gallery opened almost two decades ago. 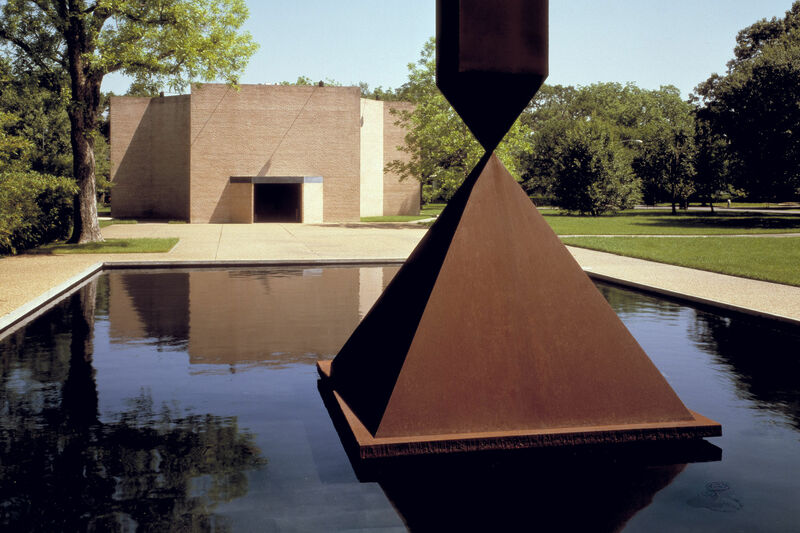 [The Menil will hold a separate Houston event to unveil the plans on Thursday night.] 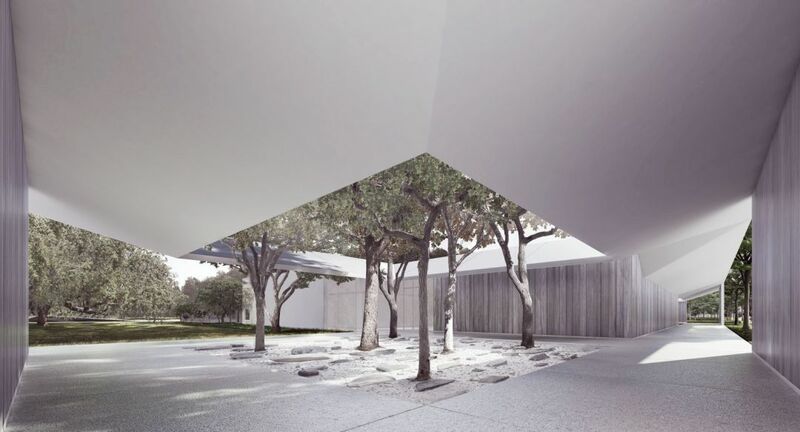 The plan, by Los Angeles architecture firm Johnston Marklee, calls for a 30,150-square-foot structure located to the south of the original Menil Collection building and east of the Twombly Gallery, both designed by Renzo Piano. 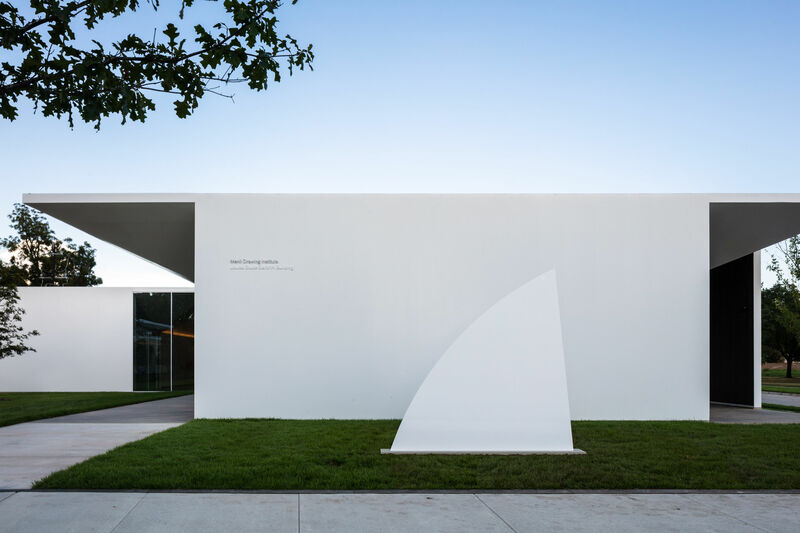 With its grey walls, understated design, and shady courtyards, the building echoes many of the architectural features of the museum’s two adjacent Piano buildings, allowing the MDI to fit naturally into the Menil’s 30-acre campus. 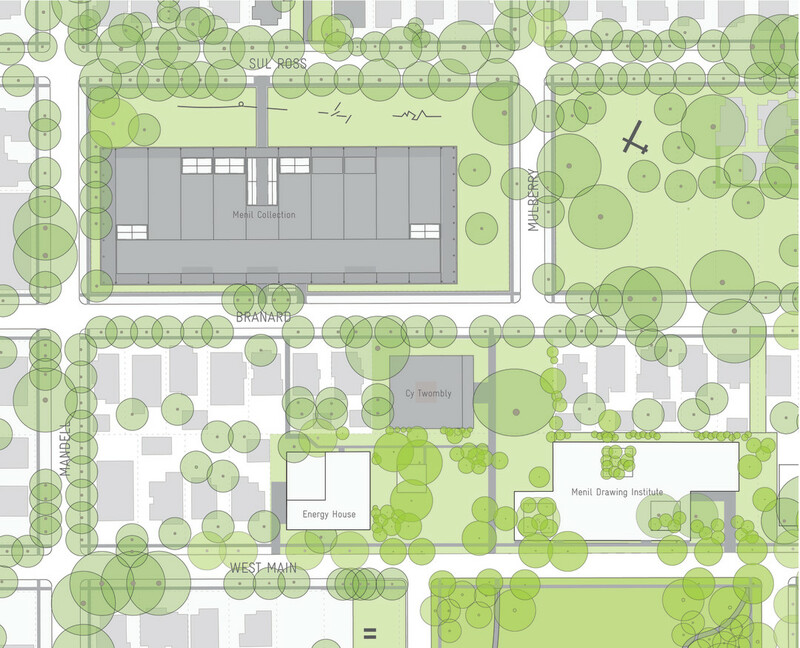 Three square, open-roofed courtyards—including entrance courtyards on the east and west sides of the building and an interior “scholars’ cloister” on the north side—will surround the site’s existing live oak trees. Shade for the MDI’s collection of drawings will come from these trees, as well as a thin, flat roof of painted steel plate that appears, when viewed from outside, to float in the air. The $40 million building—the country’s first freestanding facility devoted to the study and exhibition of drawings—will also contain storage and conservation space. Founded in 2008 and led by curator Allegra Pesenti, the MDI has hosted exhibitions like 2012’s Richard Serra Drawing: A Retrospective, and, currently, Lee Bontecou: Drawn Works (on view through May 11), as well as engaging in major scholarly endeavors such as producing the catalogue raisonné of Jasper Johns’s drawings. 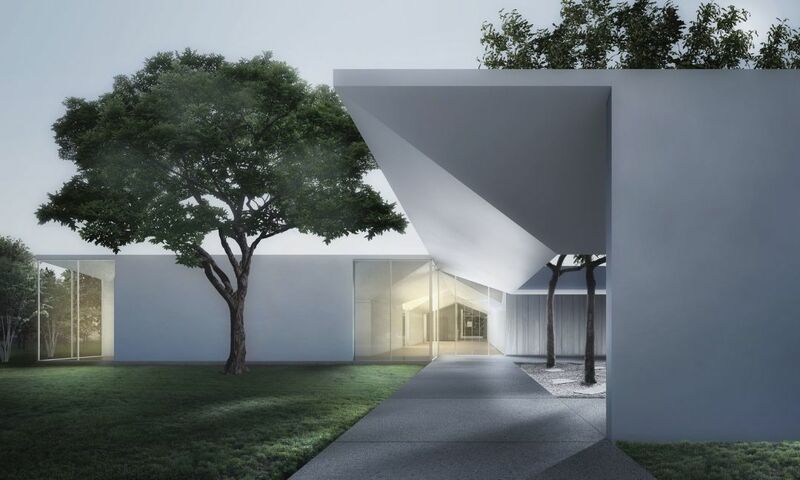 Scheduled to break ground in early 2015, the MDI building will be a central element of the Menil’s ambitious plan to enhance its campus, including the addition of a café, a new energy plant (also designed by Johnston Marklee), and reimagined landscaping by Michael Van Valkenburgh Associates. 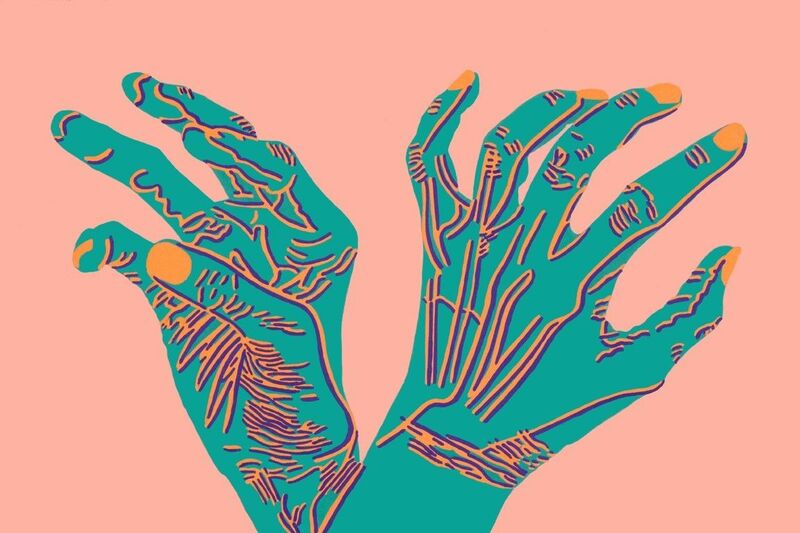 To fund the improvements, the Menil is in the midst of a $110 million capital and endowment campaign.